While the world has advanced to the social media in terms of communication, e-mails, however, still play a vital role as a professional medium of communication in business and organizations of various categories. An e-mail, called as electronic mail, use text messages as a form of communication between two or more persons. For instance, if you are an employer or an employee, you write e-mails in order to convey information through your message to the other person. This information can be anything – project works, updates, business concern, applications, requests, etc. Along with your message, you can send multi-media files such as documents, spreadsheets, presentations, audio, video and graphic images for their respective purpose. Gone are the traditional methods of sending and receiving emails via telegrams. Today, the post offices don’t even exist in some places. Technology has driven the postal system away and has introduced a revolutionary form of communication, that is, e-mails. E-mails follow certain rules in their respective mode of a communication system. In this blog, we are going to help you with the tips which you can follow in order to write professional-looking e-mails. Whether it’s your personal e-mail or a professional one, a well-written e-mail is significant. Check out these valuable tips that can help you write professional e-mails to your clients, peers, and boss. E-mail addresses are a unique address through which you can exchange messages electronically. When you are sending an e-mail to somebody, you must make sure to enter the correct e-mail address of the recipient, you’re going to send the mail to. An incorrect e-mail address will render failure in the delivery of your e-mail. Therefore, it is required that you use correct e-mail addresses of persons you want to communicate with. In order to pass the message to your recipient, the subject of your mail matters. It should be meaningful and concise. Avoid lengthy subjects as it may annoy the person who is going to read your mail. 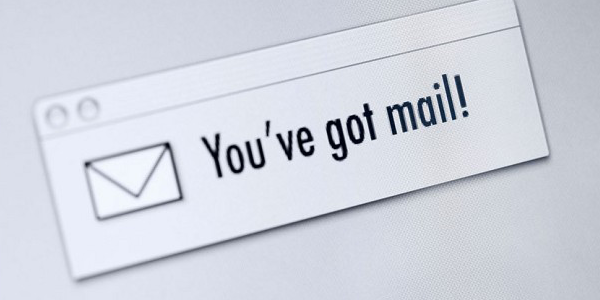 Add a few words of introduction to your mail that emphasizes the purpose of your e-mail. For example, if you are sending an application in your mail, highlight your e-mail subject as “Application for a job”. This is equally important. Before beginning with writing your mail, never forget to include greeting first. Various forms of salutations include “Dear”, followed by any of Sir, a person’s first name or last name with a prefix (Mr./Mrs.). You may address your peers in your office with their first names. Similarly, you may address your boss or other higher authorities or superiors of your office, company or organization with their last names after a prefix. This is used for addressing the person to whom you are writing the mail. It is a form of respect and honor that is given to a person in an e-mail. Next comes the main part of your e-mail. Here, you provide all the information that is necessary for your recipient to read. This is your message body. Write only the important notes or messages which you want to send to the respective person. Also, make sure to break your message into several paragraphs. This is important because you don’t want your e-mail to look like a storybook and annoy the person who is going to read your e-mail. It is advised that you write your message in several short paragraphs and make your e-mail look interesting as well as informative to your recipient. Most importantly, avoid using capital letters in your message body. Writing a message with every word in capital impacts the reader. Only use capital letters in case of names of persons, places, abbreviations, and acronyms. This is optional. However, if you want to make the text of your e-mail look a bit stylish or different, you can use the styles fro the toolbar that is located just above the message body. You may change the size of your text, use a different font style, etc. This can make a minor difference to your e-mail. You end your e-mail with a signature text. Always leave a gap of a few lines after your message for your signature text. In this, you can include words such as Thank you, Sincerely, Yours faithfully, Regards, Best regards, Best, Thanks, etc. Thus, you may follow the tips that are given above and exercise these on a regular basis to give your e-mail a professional value. Of course, professional e-mails matter a lot in your office and organization. Hello, I am a Digital Marketing Consultant from Bangalore, India. He is also an Author, Speaker and Trainer in the field of Digital Marketing. He blogs about digital marketing tips at this blog websolutionmedia.com.